Acucraft’s Remote Ducting is a great way to maximize your fireplace and its heating potential. 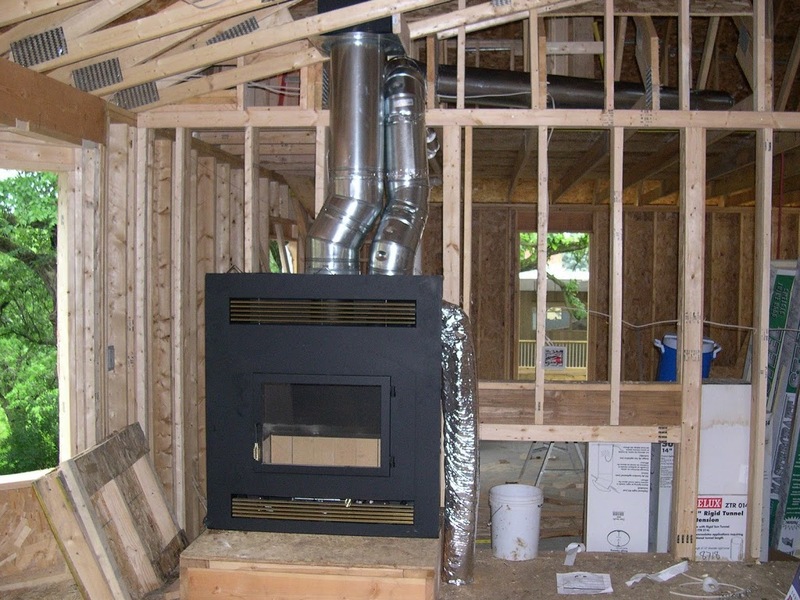 With the use of Remote Ducting, you have the ability to heat your entire home with your fireplace. To install this option is cost effective and offers a huge return. Customers who have a wood burning fireplace enjoy this option because it requires very little gas or electric to heat their home during the colder season. Acucraft’s Remote Ducting option aids in the goal of heating your home evenly, eliminating cold spots. The Remote Ducting option uses B-Vent pipe to vent heated air to other areas of your home. You can vent to another room on the same floor, upstairs or even below with the use of an in-line blower (this feature differs from the fireplace blower). Additionally, you are able to connect your Remote Ducting System into your cold air return and use your furnace fan to evenly distribute the heated air throughout your home, also eliminating cold spots. The diagram shows the remote ducting taking the heat from the fireplace and transferring it to the furnace for distributing heat throughout the home using the existing ducts. Many of our customers have the duct end at the basement ceiling; with an in-line blower in the basement ceiling. Turning on the in-line blower allows the heat to be transferred to the basement. The Heating Duct can transfer up to 70% of the heat generated by the fireplace. The Z-MAX is capable of 130,000 BTU’s an hour. The average furnace is under a 100,000 BTU’s an hour. The remote ducting is a great feature that is included in the Acucraft’s Whole Home Heating Technology. If you have any questions, please contact Acucraft’s Selection Specialist Team at 855-349-0721 or info@acucraft.com.